 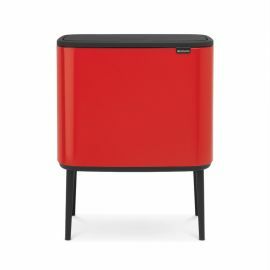 Brabantia is probably one of the most recognised brands of kitchenware in the UK and their products both look great and are extremely functional. 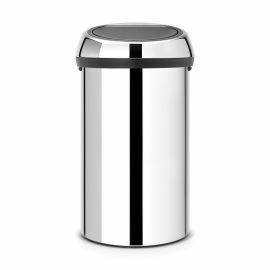 Here at Binopolis we bring you their new space-saving designs and very latest colours. 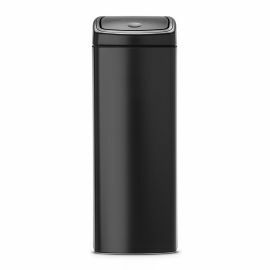 Our range of Brabantia one-compartment bins is well suited to smaller and medium sized households, with their products typically having 30 Litres of capacity. 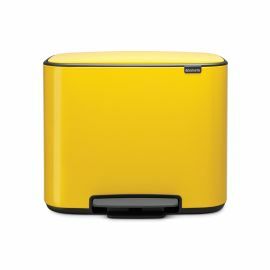 Their latest range of New Icon bins come in some great colours including Clay Pink, Daisy Yellow and Gold Beach. 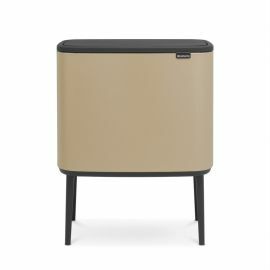 Particularly noteworthy is the designer range from Orla Kiely with a stem and leaf pattern on tall, elegant pedal bins. 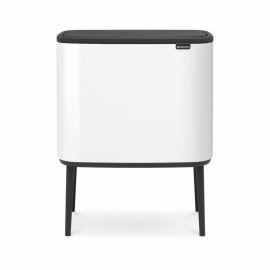 The innovative Flatback bins also make the good use of your space: they’re organically curved and cleverly shaped to fit flush with your wall or island unit, with minimal projection into your kitchen. 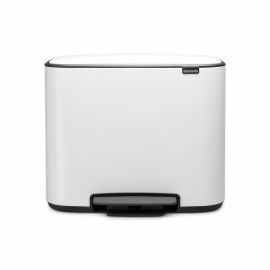 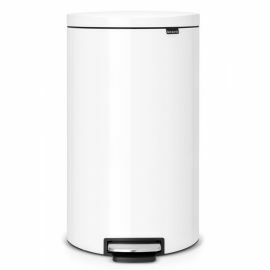 The tall, slimline round or square Touch bins give you great capacity with a small footprint to fit into corners or narrow spaces. 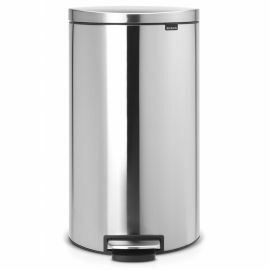 The 10L Touch Bin comes with an optional wall mounting bracket: perfect for smaller kitchens and bathrooms. 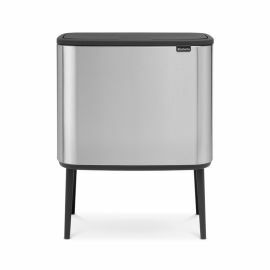 We’ve chosen the most versatile of Brabantia’s subtle and unique colours, in their extra durable gloss, metallic or textured mineral finishes. 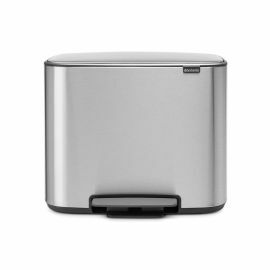 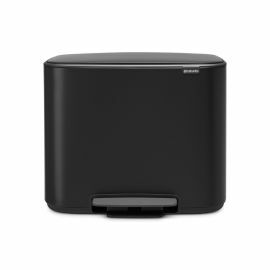 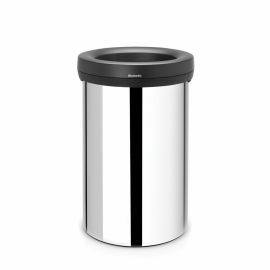 Brabantia bins are also great to use with easy and light operation of the Touch lids and pedals, quiet soft-closing mechanisms and anti-vacuum inner buckets making it easy to remove your liners. 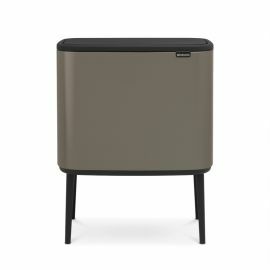 These top quality bins bring a combination of style and functionality to your kitchen. 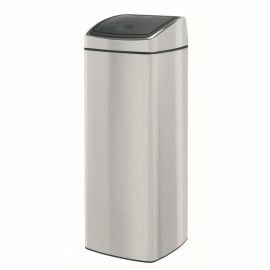 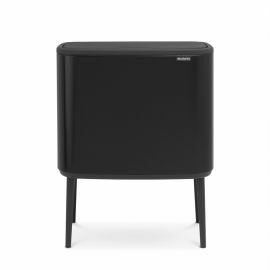 We also carry the full range of Brabantia Recycling Bins if you need a great bin to separate out waste and recycling.